The whole concept is inspired by reminiscences of asian images interpreted into modern architecture. 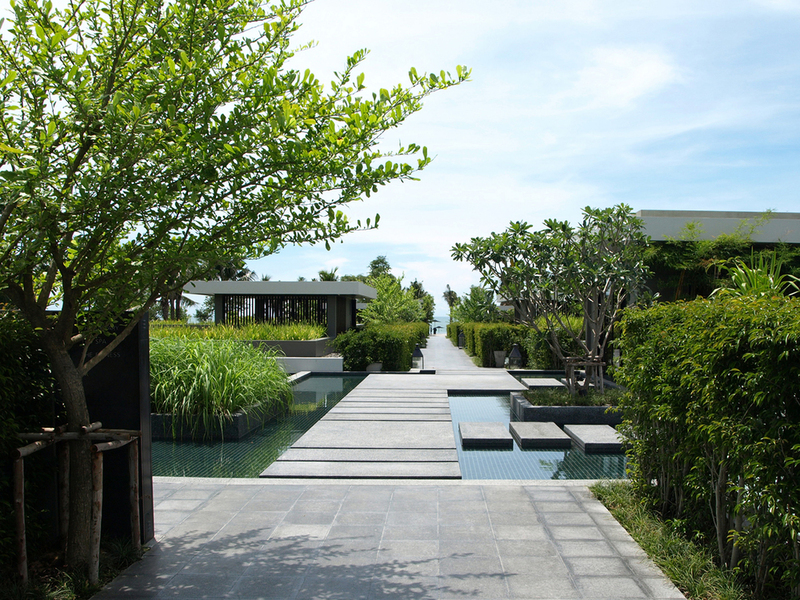 The garden reminds the emblematic rice fields of Thailand. All along the road, on the way from Bangkok, the rice fields are like a pattern mixing the fresh green of the growing rice, the quiet water like mirrors reflecting the sky, creating a geometric composition where elements of landscape seems to float, confusing the perception of space. It is a sensation that we wanted to interpret into our architecture. The main formal concept is a square grid. 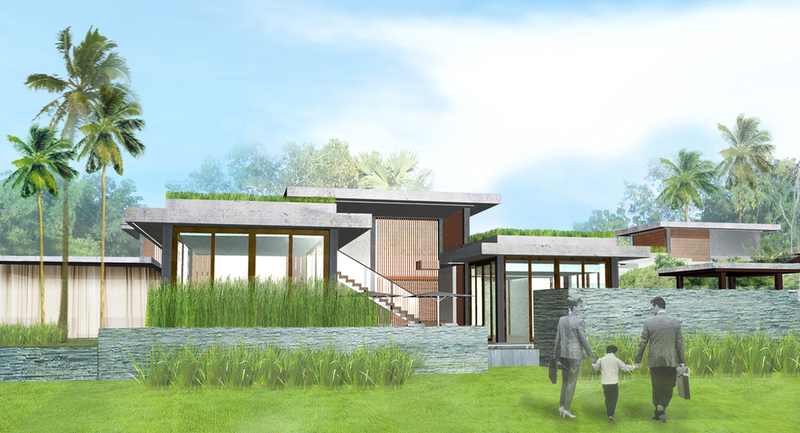 Each square from this grid is elevated at a different level, creating a geometric topography mixing vegetation, water, stone, evoking the rice field landscape. The architecture mingles into this interpreted landscape. At the lobby is a monumental staircase surrounded by ponds. A waiting lounge and the reception's front desk are like two islands floating on the water. This space aims to create a transition from the the place of arrival to the serenity of the resort. It announces the formal concept of the project by starting the game of topography with a large and dramatic stairs going through cascading ponds. Climbing the stairs up to the elevated main circulation of the resort you discover the whole resort and the view on the sea framed by the architecture. Above, the large roof structure is an image of the gate, it is like a frame to view the project from the outside. The raised grid defines a spinal elevated circulation in the center axis of the long and narrow land where the project sits. It is starting from a higher point at the lobby, and then smoothly stepping down to the beach side, allowing beautifull view on the sea all along the way. On both sides are the entrances to the villas from which a stair steps down to the natural ground where the villas are seated. Because the villas are nested in the landscape it creates a very original kind of privacy which is very different from what this kind of resort usually offers. It is not enclosed between walls, but completely opened on the garden. This way, nobody can get a view from ouside because of the way we played with the different levels. It create the feeling of a private villa. 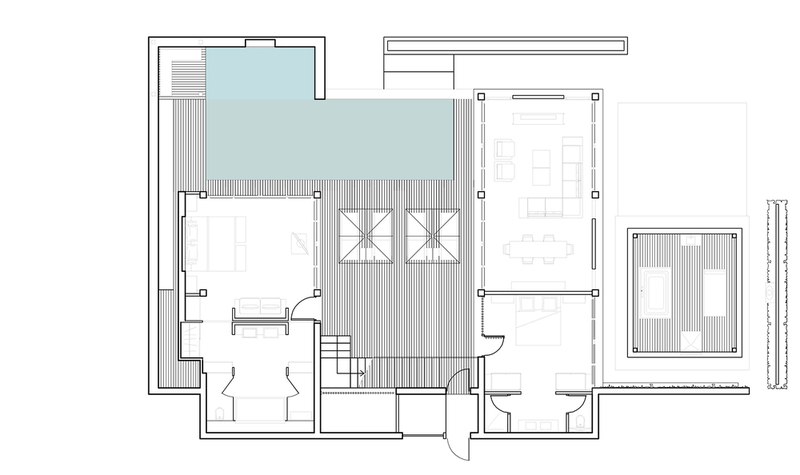 Bedroom, living room and terrace are organised around the outside terrace. 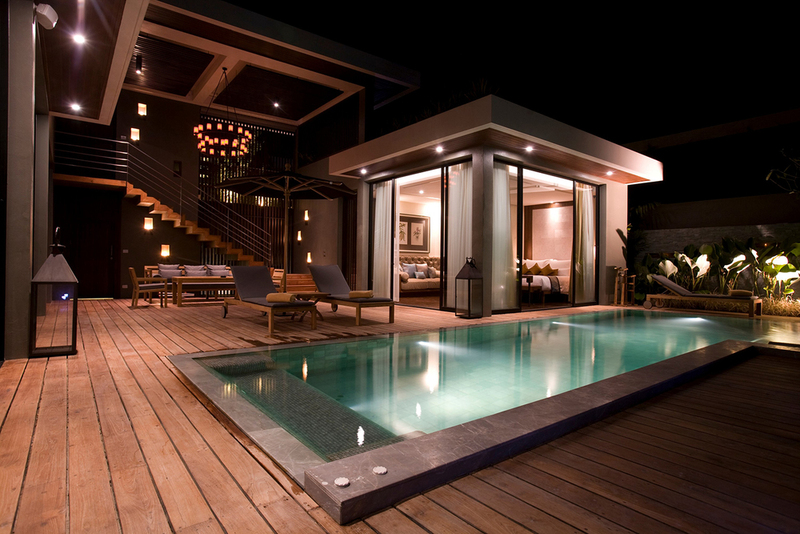 It was important to give to all these spaces a view on the swimming pool and deck which represents the relaxing image. The interior atmosphere is an idea of modern luxury based on a combination of traditional heritage designed in a contemporary way an dmade of asian inspiration materials. 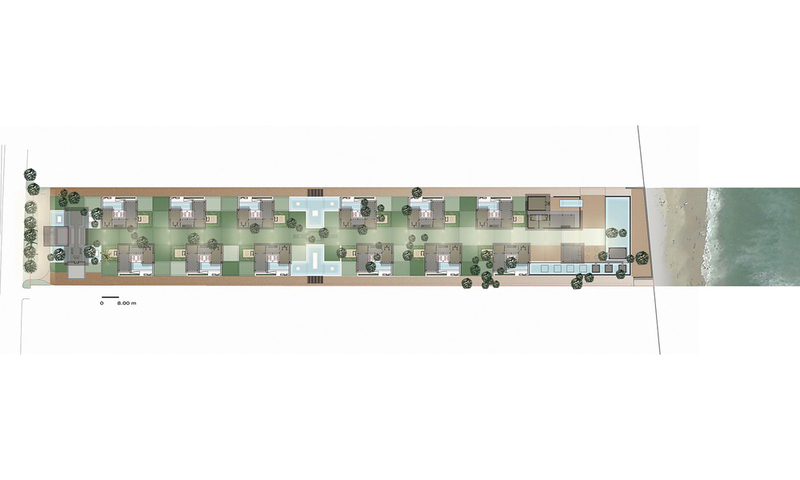 The elevation concept of the project allows to serve every villa in an almost magical way. The service circulation is hidden under the main walkway allowing the service to be completely invisible.